This website has been developed as a non-statutory design guide to support design teams to develop characterful and distinctive streets and homes informed by the landscape and cultural heritage of the local area. The guidance will be used by EDC (as the planning determining authority) to promote a design process that starts with an in-depth understanding of Ebbsfleet’s cultural heritage and landscape, and develop approaches to urban structure, architecture and landscape design that responds to it. For designers embarking on the earliest phases of a project without an existing planning permission, the guide provides a context driven design strategy. This resource is to be used as a springboard by designers to inspire creative responses to the context, rather than a prescriptive design code. For designers operating within the context of an existing outline planning permission (where no details or guidance on how to respond to the local character exists either within the local planning framework or the existing permission) this guidance should be used to instill an identity and sense of place within area master plans, design codes and reserved matters applications, in alignment with any existing permission. EDC will aim to align subsequent areas masterplans and design codes with this guidance where possible. To demonstrate how the site analysis has informed the final design response, in terms of the urban structure and area masterplanning, street design, landscape design and building design. 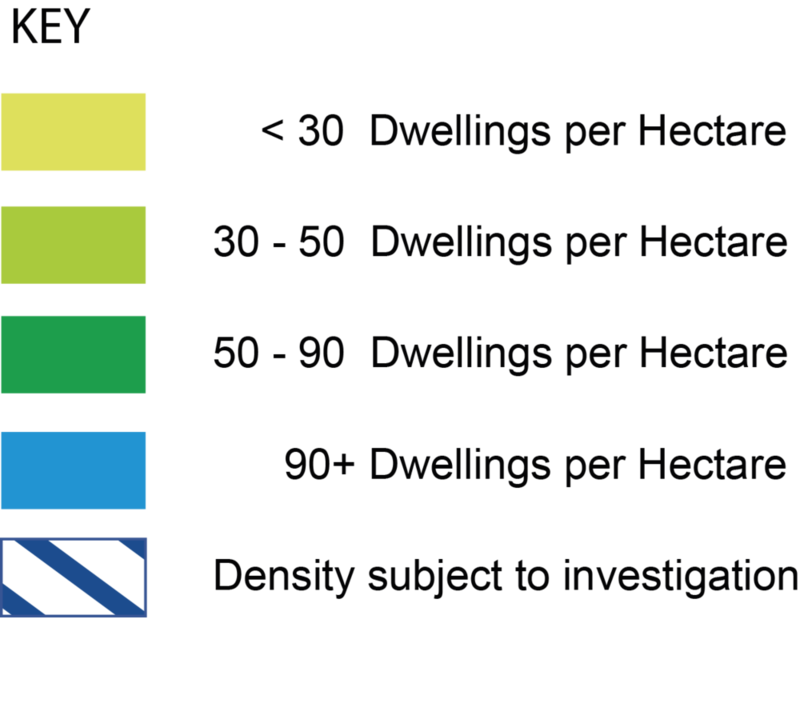 The study can also be used to demonstrate alignment with the ‘Character’ section of the Building for Life design tool, which is now being used in all planning applications to benchmark design performance in Ebbsfleet. Design teams are invited to familiarise themselves with this analysis, and undertake their own research into related areas of interest, to help to inform and evolve their own design strategy for the masterplanning and design of the streets, public realm and buildings. Four design narratives are presented in this guide, to establish a direction for the urban form, architectural language and materials & detailing of Ebbsfleet, and help to define a character for each area. Design teams should use these narratives as the basis for developing their design approach to urban structure, architectural language, materiality and detailing. The approach is one of ‘comply or explain’, where designers choosing to develop their own narrative will be expected to explain how their alternative narrative has been derived from the analysis in section one, and how the resulting approach to urban structure, architecture, materials and detailing explicitly references the local cultural heritage or landscape character. The narratives illustrated in this study have been tested with the planning committee, and provide a baseline approach, against which alternative narratives will be assessed. How does this Design Guidance relate to local and national planning frameworks ? This website and the associated downloadable PDF sets out Ebbsfleet Development Corporation’s expectations (as the plan determining authority) on how designers can respond positively to the local context to create characterful and distinctive new neighbourhoods, streets, homes and buildings. These resources are provided as non-statutory design guidance for designers working with the Ebbsfleet Garden City area, which is illustrated below. This guidance has been developed to set out Ebbsfleet Development Corporation’s expectations (as the plan determining authority) on how designers can respond positively to the local context to create characterful and distinctive new neighbourhoods, streets, homes and buildings. Using BFL 12, and the Kent Design Guide, the design, layout and form will be derived from a robust analysis of the local context and character and will make a positive contribution to the street scene, the quality of the public realm and the character of the area. 6.3 Design, architecture and construction materials should complement and enhance the valued character of an area and reflect or reinforce distinctive features. Innovative design that respects and complements the local character may be beneficial, particularly in the EDC area. It will always be important to demonstrate the attributes and significance of the natural, built and historic environment in the locality of the proposed development. 6.11 Development within the EDC area should be led by comprehensive masterplanning, addressing its particularly characteristics and constraints. It is expected to be guided by Garden City Principles, and through bespoke masterplanning and design policies…..
Each narrative has been defined by a set of principles for the urban structure and built form, which are then illustrated using diagrams and sketches to provide an interpretation of the principles. The development blocks, building types and housing typologies illustrated in the diagrams have been developed to align with the density bands set-out in the existing planning permissions. The plan illustrated below illustrates these densities within the consented schemes for all 10 new neighbourhoods that will form Ebbsfleet Garden City.